The Sewall-Scripture House is the home of the Sandy Bay Historical Society and houses our museum of Rockport antiquities. It is located at 40 King Street in Rockport. The Federal-style building is listed on the National Register of Historic Places. 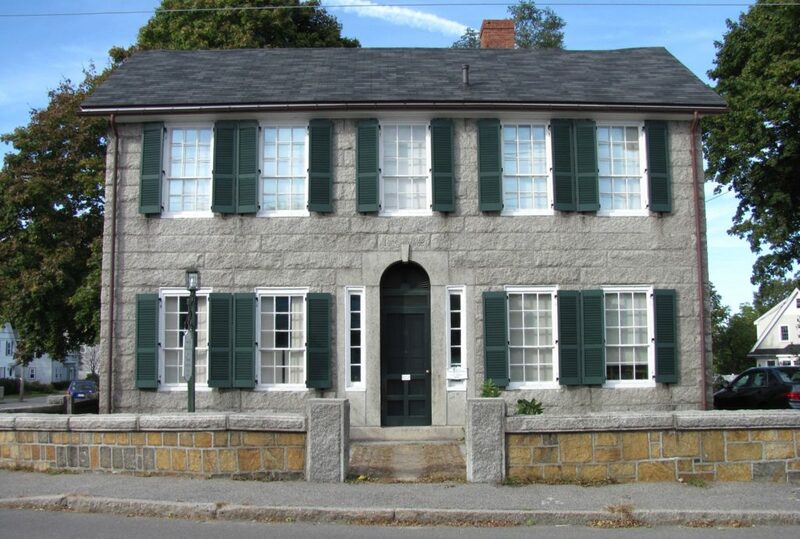 It was constructed in 1832 out of granite quarried in Rockport. The house was built by Levi Sewall (1805-1880), owner of a granite quarry in Pigeon Cove, as well as a successful contractor and businessman. Sewell’s descendants owned the home until 1957, when it was acquired by the historical society. Levi Sewall was the youngest son of Rev. Samuel Sewall, who at the time of Levi’s birth was minister of the Congregational Church in Edgecomb, Maine. Levi moved to Rockport as a young man. In the same year he built this house, he married Mary Ann Roberts. They had seven children, one of whom, Mary, married Frank Scripture and lived for a time in this house, thus accounting for the name Sewall-Scripture House.